Learn how to leverage Django, the leading Python web application development framework, to its full potential in this advanced tutorial and reference. Updated for Django 1.5 and Python 3, Pro Django, Second Edition examines in great detail the complex problems that Python web application developers can face and how to solve them. It provides in–depth information about advanced tools and techniques available in every Django installation, running the gamut from the theory of Django’s internal operations to actual code that solves real–world problems for high–volume environments. 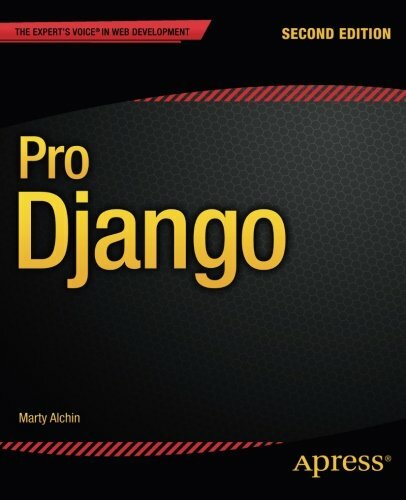 Pro Django, Second Edition goes above and beyond other books, leaving the basics far behind and showing how Django can do things even its core developers never expected. By drawing on the dynamic nature of Python, you can write Django applications that stretch the limits of what you thought possible! This book is for companies looking for a framework capable of supporting enterprise needs, as well as advanced Python or web developers looking to solve unusual, complex problems.